Make full use of all your videos. Easily order several versions by changing the format, language, images or text – and start boosting volume in video output. A/B test different versions of your videos to discover which version performs better. Easily re-order your video with different visuals or text for a fraction of the cost. Turn a video into a template by ordering different versions of it, and ensure brand consistency and save time in the process. Your templates make it easier to involve your team, while still having control of the outcome. Reach out to an audience in their own language. Order new versions of your video with subtitles and text in different languages. Engage with audiences on every channel and platform. Create different versions of your videos, and have a higher video output. Customize your video for different social media platforms with a single click. Easily order vertical, square or horizontal videos, ensuring full optimization on every platform. Reach your target audience where they are. Based on chosen audience, the platform gives recommendations on which channel to create videos for. 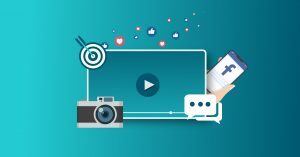 Choose the social media platform you want to post your video on, and we’ll provide you with the recommended length for your video. You have three seconds to capture attention. Therefore, the first thing you need to do when creating a new video is to create a “hook”: a powerful quote, a statement or a question. 85% of people on social media watch videos without sound. The message of your video is the most important and we’ve made sure that your videos always will include text.